Beautiful and spacious condo with a lake view in the highly sought-after Lake Chesterfield Subdivision! The updated large eat in kitchen has custom cabinets with beautiful granite countertops and nice desk perfect for your home office. The large living room with a gas burning fireplace and dining room have plenty of space for entertaining that opens to the expanded newer composite deck overlooking the walking trails and lake. The peaceful master suite is complete with the shower, dual sinks and walk-in closet. The second main floor bedroom, a full bathroom and main floor laundry complete the main level. Expand your living area to the finished lower level complete with a sleeping area and walks out to an additional outdoor patio. A separate huge storage room with custom built in shelves. 2 car attached tuck-under garage with insulated doors. 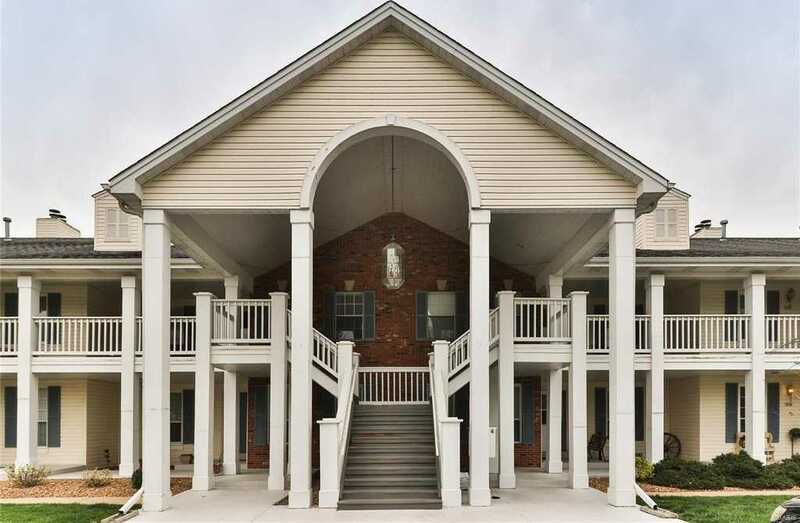 Be sure to check out the clubhouse, tennis courts,pools and gym that this complex offers.